CSR Sri Lanka (CSR SL) announces eight CSR 2.0 license holders, including four board members from CSR SL, who have successfully completed CSR 2.0 License Training. The qualification is awarded by London-based CSR International in collaboration with Hexagon Group, which has developed a CSR 2.0 Self Assessment Tool. Upon completion of the CSR 2.0 Licensee Training, participants are entitled to enter into a contractual relationship with CSR International to facilitate workshops which guide client organisations and/or their stakeholders, prepare feedback reports for clients, which include their average scores analyzed per CSR stage, DNA element and CSR 2.0 principle and market themselves as a ‘CSR 2.0 Assessor and Advisor’. The four-hour long training session was delivered online (via Skype) jointly by CSR International and Hexagon, at a cost of $ 600 per person which was paid individually by the CSR SL board members and the others. 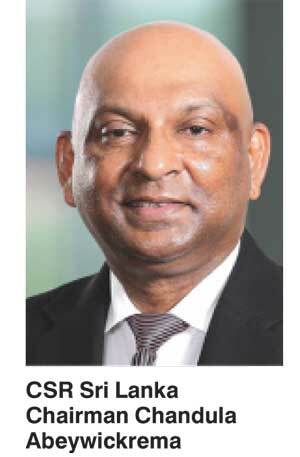 CSR SL Chairman Chandula Abeywickrema, CSR SL Director Rohan Pandithakorralage, CSR SL Director Mahesh Wijewardena and CSR SL Director Tharaka Ranwala are among the Board Members of CSR SL who were qualified as assessors and advisors. Dishane Hewavithana who is the manager corporate engagement for CSR SL too obtained the qualification. Nuwan Pathirana (Sampath Bank), Senarath De Zoysa (CIC) and Samudra Rajapakshe (Heyleys) who also obtained the license, represent member of member companies of CSR SL. Chandula Abeywickrema, who announced this important miles stone said, “This kind of formal and international licensing program would give CSR SL as the national apex body muscle to re-shape the businesses in Sri Lanka with transformative CSR.” He also said that the corporates in the country can benefit from these licensees to align their business strategies with the corporate sustainability and responsibility. CSR SL was initiated in 2013 and is pioneered collectively by a group of leading corporate sector companies in the country with the aim of providing strategic guidance and necessary resources to bridge the gap between ad hoc CSR projects and creating sustainable value. The micro sector, SME sector and the corporate sector together, comprise the largest employment fabric in the country. Therefore a central body that would be responsible for guiding CSR activities towards achieving national goals is the call of the hour. Research findings of CSR SL reveal that currently 40 leading corporates in the country annually spend around four billion rupees on project-based CSR activities. CSR SL believes that if the private sector can be aligned with key social and economic initiatives of national impact, more feasible results could be garnered. Therefore it supports corporates to change into more powerful, accountable, engaged and profitable businesses nationally impacting social and economic development. CSR Sri Lanka is the first of its kind in the country for private sector CSR activities. It seeks to engage the wider corporate community in addressing national priorities using the strengths of the member companies to work on specific initiatives. It also aspires to create a common understanding about CSR, becoming the apex body to promote and synergise CSR efforts and to align them with international standards.